Sundance Flying Club was founded with the idea that people with a common interest in aviation should be able to enjoy it together. We are located at the Palo Alto municipal airport (KPAO), serving the greater San Francisco Bay Area. Centrally located on the Peninsula, Palo Alto and Sundance Flying Club both offer excellent year 'round flying with an excellent training environment under the busy San Francisco Class B airspace. So whether you're darting off somewhere for that $100 hamburger or looking to add an instrument or multiengine rating, Sundance is your friendly flying club. Catering to the beginning and experienced pilot alike, we understand the Silicon Valley lifestyle. 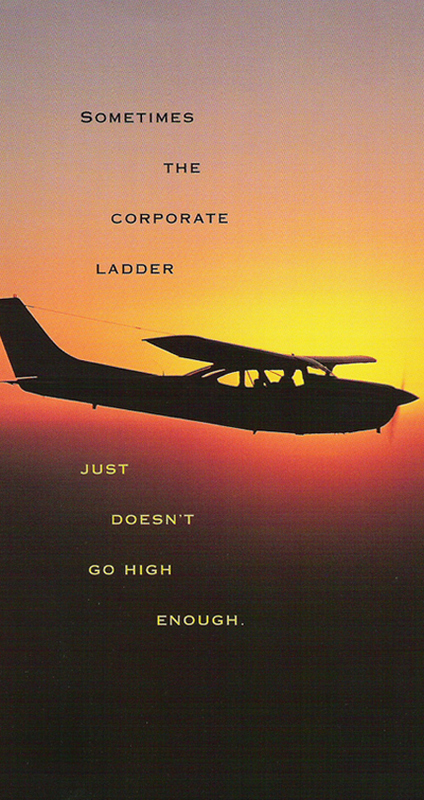 For many of our staff and instructors, the corporate ladder just didn't go high enough, and they have chosen to make their flying home here at Sundance. We pride ourselves in maintaining that small club ambiance, but with a big club level of experience, service and safety. OUR GOAL: To provide clean, well maintained airplanes to our members for safe flying at affordable rates. We've learned, it's about the flying!!! Our flight training operation is committed to placing airplane commanders into the left seat of our airplanes. In the past we've had glitzy offices and a large staff, but found that these overheads added to the costs and forced higher rental rates without providing benefit to our members. To keep member rates as low as possible, we make the most efficient use of minimum space, (check out our club Briefing Room to see what we mean). Highest quality equipment! At the Sundance Flying Club we rely on well-developed systems to keep the club flight operations running smoothly. We've upgraded our fleet with high performance aircraft and primary trainers. We do not have our own maintenance facility, but ensure that each airplane is properly maintained by experts in the best Bay Area maintenance facilities. Great Availability! Our member-to-airplane ratio is low enough to supply an airplane for our members almost whenever they want it. Just click on our online scheduler from any web browser. Dispatch of the airplanes is also web-based, allowing our members to take and return an airplane 24/7. Our integrated billing system offers the widest range of payment options combined with maximum security. Call 650-494-7768 or visit our office for more information. Sundance Flying Club has established and maintained a UNIQUE membership agreement. We feel it's essential that our members operate and care for club airplanes as if each airplane were his or her own. This UNIQUE agreement has served our club well and has allowed the Sundance Flying Club to provide a fleet of very clean and well maintained, airplanes at affordable rates. We welcome new members to our flying family. Please click the following link for membership information and club rules and here for aircraft information and rates.